State Apparel wants to help you rethink your on-course wardrobe choices and reinvent golfwear for the better. As the company likes to say, they want to transform golf clothing into golf equipment and they have made plenty of progress in their endeavor. From designs with pockets that will help you keep your golf ball clean to pant legs that are designed to clean your wedge, State Apparel is doing plenty of interesting things and they are manufacturing them right here in the USA. As a relatively new name in the space, State Apparel is one to keep your eyes on. Although not all pieces in the State Apparel line are intended to be functional, most have a great story behind them. 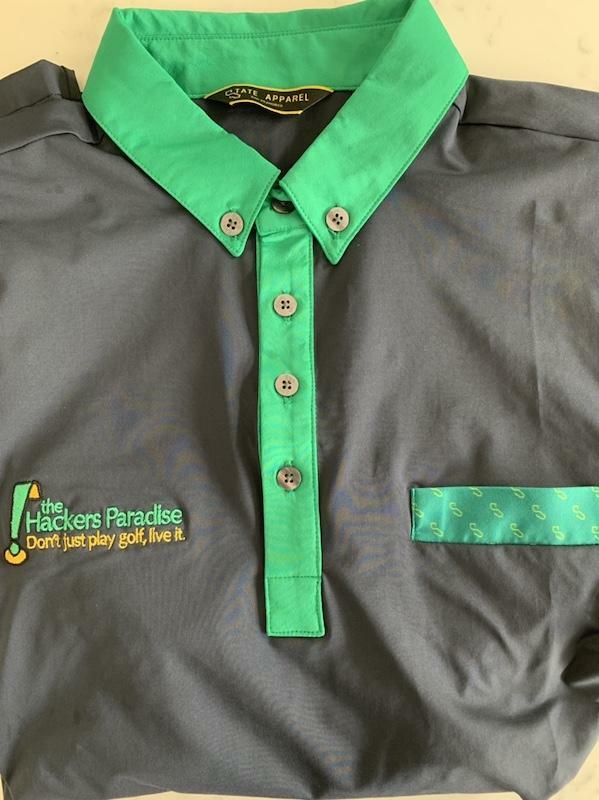 One of these great stories is the Sunday Shirt – Green Collar golf polo and we received one in for review. The first thing you see with the Sunday Shirt is its namesake green collar. It is no accident that the collar is green – much like blue-collar workers perform manual labor, the green-collar workers work in the environmental sector and are the keepers of the green space, a critical endeavor in golf. And as State Apparel puts it, the green collar pays homage to the green-collar workers who are the caretakers of golf’s green spaces and maintain them in a sustainable and eco-conscious manner. Indeed, it is worth celebrating these individuals because without them the future of golf is anything but green. Turning to the shirt itself, the Sunday Shirt – Green Collar is a comfortable top that follows through with its green-collar intentions through and through. Notably, the Sunday Shirt – Green Collar is made of 79% recycled polyester and 21% spandex, making it the eco-friendly choice for your next 18. While I can’t tell you where the performance fabric is recycled from, I can tell you it feels great knowing it is eco-friendly and comfortable all-in-one. The fabric feels premium and the fit is true to size, not baggy or constricting. Put another way, fit is somewhere between a traditional American fit and the more tailored European cut, which strikes a happy balance for most body types. Also, the 21% spandex and slits at the bottom of the shirt make sure that you have plenty of stretch and no hindrance throughout your swing. Finally, one last final touch is the custom State Apparel buttons on the collar intended to give a polished look on the Sunday Shirt. 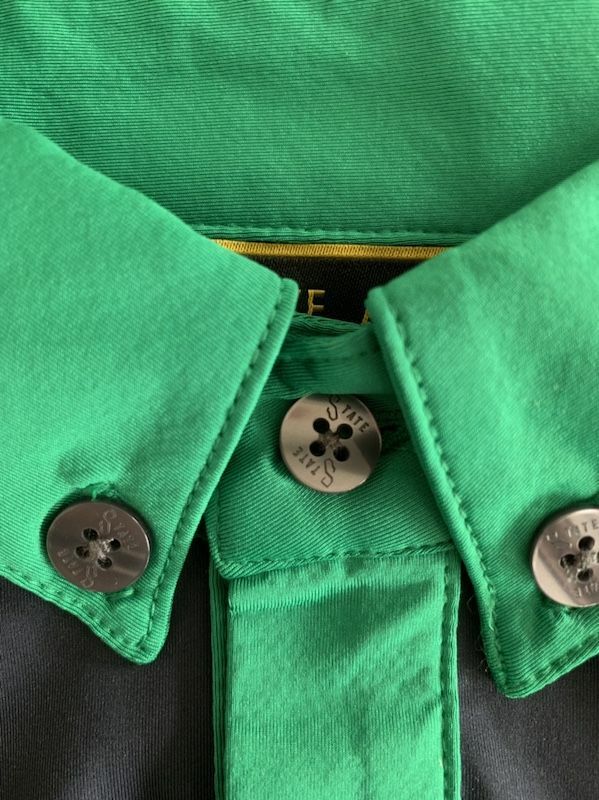 Although the buttons have proved to be divisive on the forums, there are plenty of other options for you to consider from State Apparel if you aren’t a fan of the collar buttons. One final cherry on top of the eco-friendly sundae is that State Apparel donates a portion of the proceeds to the Audubon International’s Cooperative Sanctuary Program for Golf, which helps golf courses protect the environment and preserve the natural heritage of the game of golf. 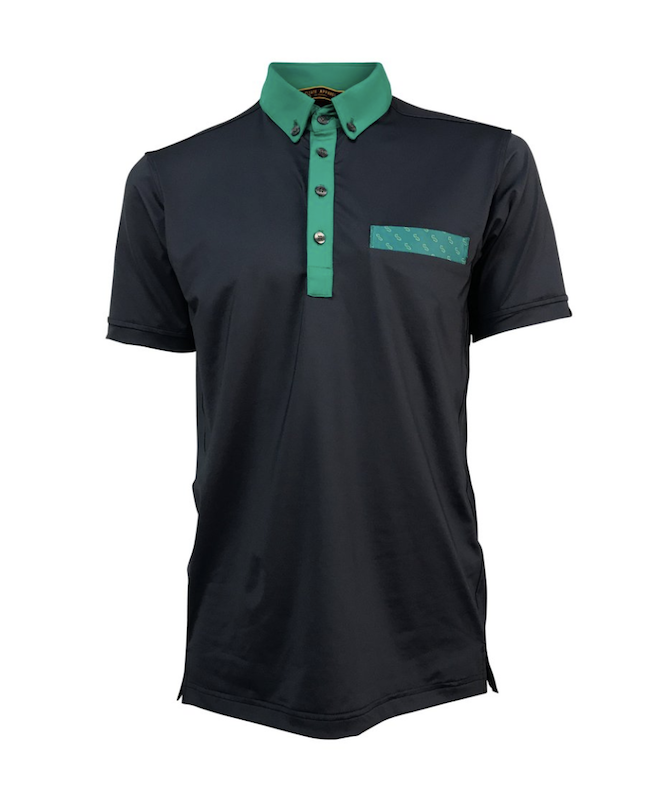 All told, the Sunday Shirt – Green Collar is a top that you can feel good about purchasing, and if you like the styling, will keep you looking like you are in your buttoned-down Sunday best on the course. Check out the Sunday Shirt – Green Collar or any of State Apparel’s product offerings here: www.stateapparel.com and you can find out more about the Audubon International here: www.auduboninternational.org. Sharp looking shirt. I am a fan of the button collars as well, will have to check out.